There are many advantages to small businesses. Unlike large enterprises, they are personable, quick and flexible, which allows them to establish closer relationships with customers. At the same time, many small business owners find themselves stuck working long hours to complete endless administrative tasks – such as planning out their inventory or reconciling warranties. As a result, they can’t spend as much time with their customers as they’d like to or look for opportunities to grow. 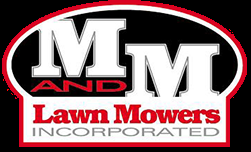 Eric Mullins, the owner of M & M Lawn Mowers – a small OPE dealership that’s been around since 1975, has a solution to this problem. Find out what it is in our interview with him below! Can you tell us about your business and how you got involved? 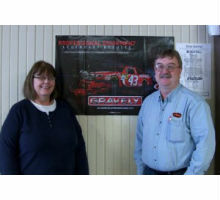 Eric: “It all started in the early 1960s, when my father brought me and my family from Ohio to Florida and got a job at a Gravely dealership. He worked his way up to the general manager position, and at that point, he decided to branch out on his own. 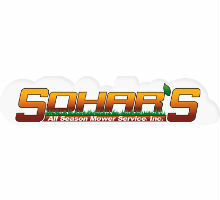 So, he bought a very small lawn shop, and in 1975, he opened it as M & M Lawn Mowers. 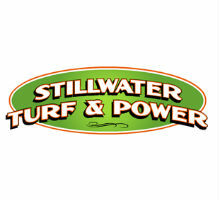 In the meantime, as I was growing up, my father taught me a lot about outdoor power equipment. It eventually came to the point where I would come home from school in the afternoon, and he’d have equipment work waiting for me. That’s how I got started. What would you say is the biggest competitive advantage of your dealership? Do you encounter any challenges when you are looking for people to hire? Eric: “Oh yeah. Nowadays, being a mechanic isn’t the same as 30 or 40 years ago. If you haven’t been doing it for a while, you’re behind because there’s so much technology out there with the electronic fuel injection, hydro and so on. If you’re in sales, you need to be able to explain to customers what components are driving the equipment you’re trying to sell them. When it comes to customer service, what do you think is the biggest mistake a lot of dealers make? Eric: “Making promises that they can’t keep. For instance, when they promise to fix something by a certain time, but don’t, or when they claim to be experts at working with certain pieces of equipment, but lack the expertise to deliver the service that people want. 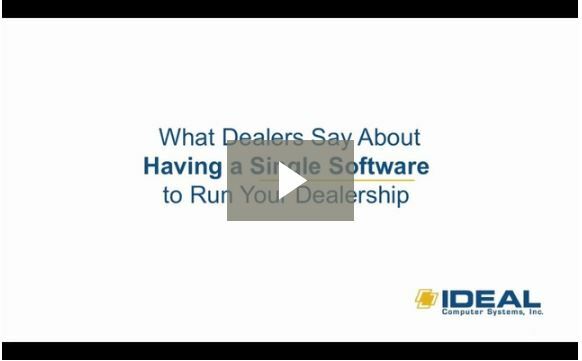 How does Ideal help you address any of the challenges your dealership is currently facing? When did you start using Ideal and what was the initial reason for getting it? Eric: “We went live with Ideal on April 1, 2006. Before that, we were handling everything on paper, including invoices and other documents, so it was pretty much a nightmare. As you grow and get higher volumes of customers, you need to have a way to keep track of everything: repair shop, customers dropping stuff off and so on. What is your favorite feature in Ideal? Eric: “My favorite part of Ideal is being able to answer a question. Mr. Smith comes in and says, ‘I need such and such.’ We ask him if he’s been here before and then we go into the system to see what he has bought from us and when. Being able to get all the information you need when you need it, without going anywhere, is fantastic. What do you think about Ideal’s accounting solution? What do your employees think about Ideal? What’s in the future for you and what role Ideal will play in that? Eric: “I’m pretty sure Ideal will be playing a prominent role in our future, because right now, we are trying to get the grip on inventory. We have a fairly small footprint over here, it’s a 60-year old building, and there’s not a whole lot I can do with this land lot. So, I need to be very careful with how I utilize the real estate. How has Ideal changed your life as an owner? Eric: “As I said earlier, I used to stay here until about 10:30 at night trying to reconcile warrantees, figure out what parts we need to order and so on. Now, rather than going physically through the inventory, I can make a couple of clicks – and it’s all taken care of. It’s easy for me to teach others to do that too, because then I can ask them to give me an estimate of the number of items sold in the last 30 days by supplier, analyze that against what we have in stock right now and provide me with a comprehensive list of what I need to order. The same applies to keeping customer records and getting ahold of customers. With the new text and email features, we can send information to customers without picking up a phone. Mechanic can do that right from his bench, while the sales clerk can do that when the customer’s parts come in.